Lush Fab Glam Inspired Lifestyle For The Modern Woman: Ad Fab: The World's Cutest Model Tito The Pom For Tous Accessories. 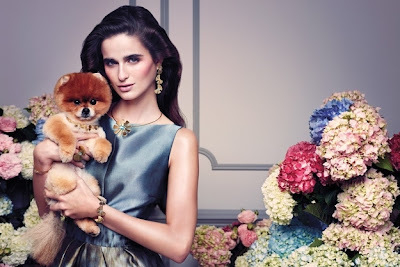 Ad Fab: The World's Cutest Model Tito The Pom For Tous Accessories. Let us know what you think of Tito's ad campign and Tous Accessories peice would you love to own? Leave a comment below. He is by far the cutest accessory in this ad campaign! My girlfriend will like , thanks for the information. Great website and great posting. It's a very beautiful work ! so cute guys.. thanks for sharing.. kindly visit back guys..